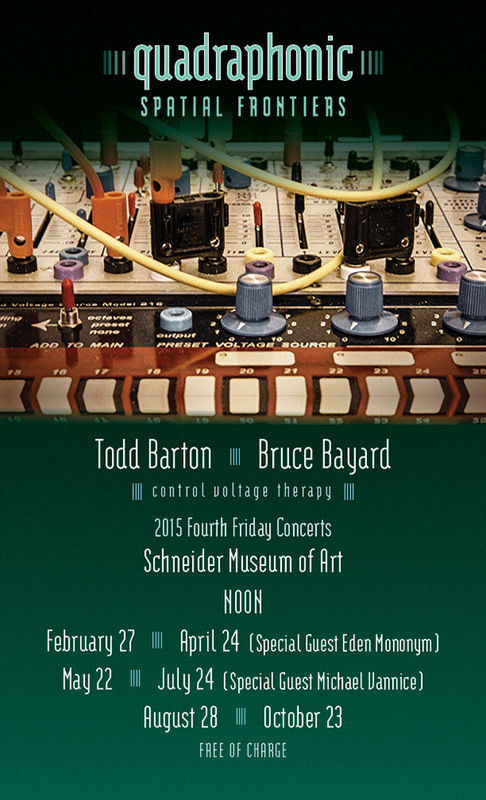 Todd Barton and Bruce Bayard performing as the duet, Control Voltage Therapy, begin another concert series at the Schneider Museum of Art. The series continues their exploration of space as a compositional tool, this time, expanding the quadraphonic sound into all four galleries of the Museum. The Schneider Museum of Art is located on the campus of Southern Oregon University. The performance is free and open to the public. Future concerts include guest appearances by Eden Mononym and Michael Vannice.